It's 3rd v 5th at The Valley on Tuesday evening, something you'd not have predicted prior to the start of this season as Wolves have enjoyed a similarly good start to the season as ourselves. 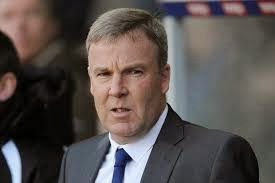 Despite his Millwall connections it'd be churlish not to acknowledge Jackett's ability to successfully manage teams at League One and Championship level. Since leaving the Spanners, not so Young Kenny, has got Wolves promoted and eased them into the second tier of English football. There are another couple of familiar faces arriving too as former players Carl Ikeme and Leon Clarke return to SE7. Both may appear ever so slightly dog-eared given the amount of time they've spent out on loan. The old saying of " having more clubs than Jack Nicklaus " could have been invented just for them. The similarities don't end there as both made a handful of appearances for The Addicks and neither managed to score a single goal between them. Fair enough in Carl's case but I still recall watching Leon's efforts to score. Efforts may be giving him too much credit as it appeared to me that there was a total lack of it. All this from a player who I thought would have point to prove following an inglorious departure from Swindon Town. No doubt Leon will go on to deliver a peerless performance and sink us with a hat-trick now I've said all that ! One player I'm looking forward to seeing, our players aside of course, is Michael Jacobs. I last saw him play for Northampton Town about 3 seasons ago. I was very impressed with the winger. He went onto join Derby but for some reason got little opportunity there. He has now joined Wolves permanently following a loan period. If we are continue our fine home form we need to show more attacking intent and not sit back as much as we did on Saturday. Nothing wrong with keeping the ball of course but we need to get forward and pass the ball quicker. We know we can do it as we witnessed in those opening minutes against Derby. It remains to be seen if Gudmundsson starts. I thought it was folly to start him on Saturday and he really should have been given time to fully recover after international duty saw him pick up a knock. The only other doubt is whether Gomez comes in for Solly as has been the case for midweek games this season. I don't think it weakens the team if Joe does play such is his maturity and ability. Tuesdays evenings at The Valley have been great of late, even during the wretched 2013-14 campaign. Let's hope tomorrow will see another great night with The Addicks clinching another 3 points to send us all home happy !